And to some people, the terms caregiver vs. caretaker are interchangeable, although you can argue that a caretaker is someone who looks after things – the guy in charge of a building when no one’s there – while a caregiver is someone who looks after people. We like to think of it that way. And we like to know that the people reading this, looking for help for their parents, know what to look for in a caregiver. With that in mind, we put together this list of some of the ways a good caregiver can help your family. 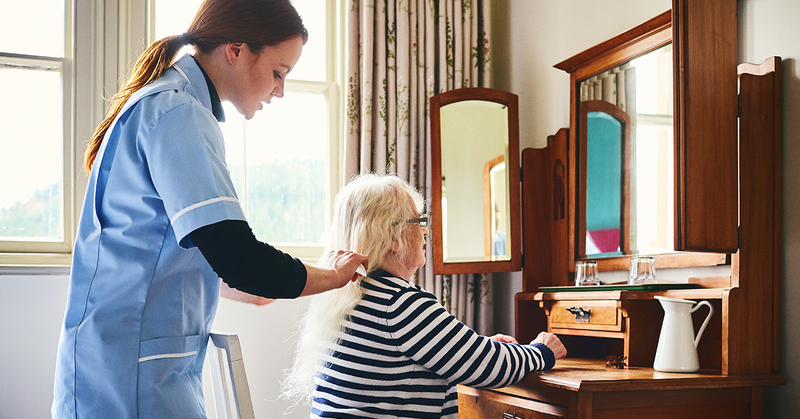 No matter where you fall in the caregiver vs. caretaker grammar debate, there are some key benefits to hiring someone to handle home care for your parents. The caregiver you hire may or may not be a nurse, but they can help your mom or dad with pain management, take them to doctor’s visits and ask questions your parent may not think to ask and monitor their prescriptions. 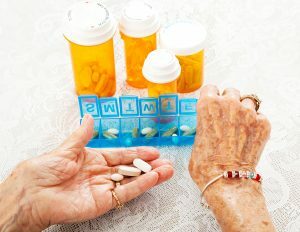 This last point is particularly important, as older people are often on multiple medications at once, which can be overwhelming for seniors. You might have noticed that your parent can no longer handle a lot of their basic needs, including bathing, grooming or getting to the bathroom. 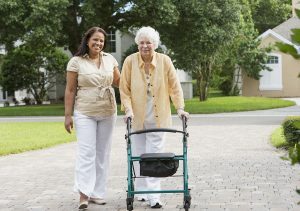 A caregiver is someone who is adept at helping seniors with these simple, yet crucial, needs. Life becomes a lot easier for seniors when they have someone to spend time with. Whether it’s just going for a walk or playing a board game or taking in a movie, a caregiver who acts as a companion can help your parent feel less isolated. 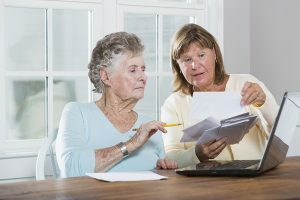 Chances are you or someone else in your family has power of attorney and can monitor your mom or dad’s finances. But a caregiver can handle smaller, day-to-day tasks like making sure utility bills get paid. This person should be someone you trust, although that’s true for any of the points on this list. Make sure you read our previous blog post on how to hire a caregiver. There was a time when your dad loved to cook, but these days he seems to live off frozen dinners. That’s understandable. Making food becomes harder as we get older. A caregiver can help your parent by handling grocery shopping, staying on top of their nutrition or even cooking dinner for them. Your mom or dad might have trouble with what’s known as transferring (moving from a seated position to standing, for example). An expert caregiver knows the right way to move someone from a wheelchair into bed or spot when someone is at risk for falling. As we get older, it’s not unusual to feel more withdrawn and not want to go out. A caregiver can help your parent maintain their routines and socialize, while also driving them to important appointments such as doctor visits. All of these things allow your parent to age in place, which is how most seniors hope to spend their post-retirement years. That’s the goal we’ve committed to here at Pennsylvania Stair Lifts, where we install top quality stair lifts and platform lifts to allow seniors and other people with mobility issues to stay in their home. 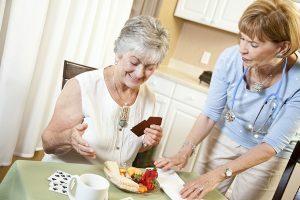 Caregiver vs. caretaker? In the end it may not really matter. All that matters is finding someone who provides your parent with the best care possible.